London: “Journalists in Pakistan are facing great threat from state institutions who want to gag the press freedom. We would not allow state to do it as journalists are the backbone of our vibrant society”. These were the sentiments of journalists and community leaders who were showing solidarity with Pakistani Media in a protest call by Pakistan Press Club UK. Pakistan Press Club UK has called this protest to show solidarity with Pakistani media persons. The Pakistan Federal Union of Journalists had already given a nationwide call for protest on Oct 9 against mass-scale retrenchments in the media, non-payment of salaries, unannounced censorship by state institutions, intimidation of journalists by state actors and registration of treason cases against journalists. Pakistan Press Club UK being an ally in overseas arranged this emergency procession at TKC Southall, London. 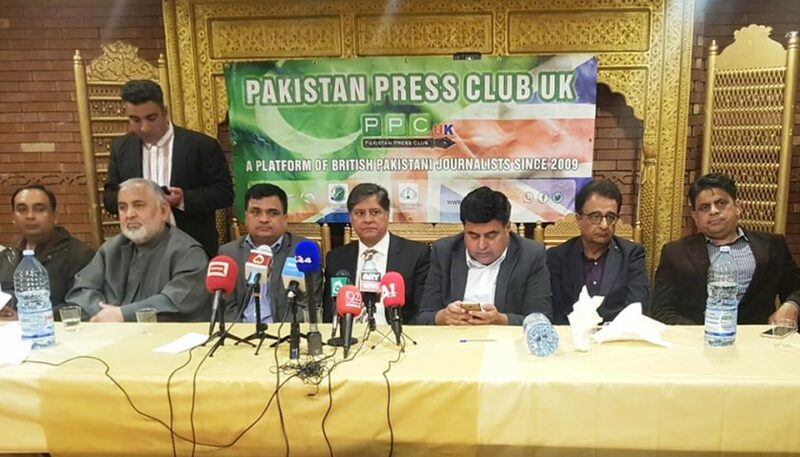 Journalists from different Media Organizations and community leaders showed complete unity and solidarity with Pakistani Media along with Pakistan Press Club UK. 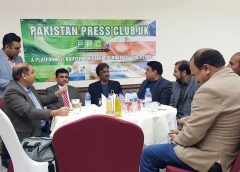 Event was prseided by acting President of PPCUK Akram Abid while Former President Mobeen Chaudhry, Chairman FoPPCUK Nahid Randhawa, Senior Journalist Samiullah Malik, Ghulam Hussain Awan, Wadood Mushtaq and Asad Ali Engineer were sitiing on the stage. Secretary General Naveed Chaudhry moderated the event.